2 bedroom fully furnished townhouse, situated in the village of Iluka. 2 carpeted bedrooms upstairs. Ceiling fans in both bedrooms. Kitchen, living and dining downstairs. Short walk to shops and beaches. Contact Yamba Iluka Real Estate to organise a viewing of the property on 6646 2400. Director / Agency Principal / Licensee in Charge / Property Manager / Sales - Denise Gillies, has established a strong reputation for quality service to her clients, and is extremely sought after for her real estate knowledge. With over 25 years experience in Real Estate, Denise’s expertise, skills and achievements have reached heights most in the industry aspire to. Throughout her impressive career, Denise has owned and operated two successful Real Estate Agencies. 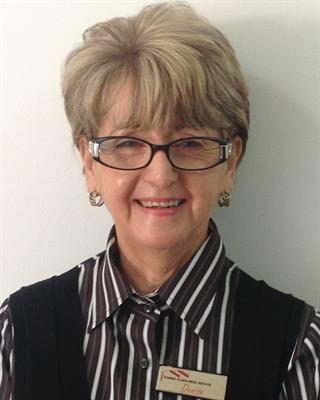 After relocating to Yamba in 1988, Denise purchased and continued to grow and expand the established business “Nationwide Realty” (formerly known as Scott Smith & Sullivan, the oldest agency in Yamba, established early 1950’s). Throughout the 25 years since starting in real estate, many challenges presented themselves along the way, including relocating premises, establishing a new agency in neighbouring town. However, hard work and a strong desire to succeed have produced exceptional results and have only added to Denises’s repuatation as one of the Clarence Valley’s most experienced, ethical and highly respected real estate agents. Denise has embraced improvements in technology in Real Estate to increase the efficiency, profile, visibility and exposure of the Real estate industry and property. She demonstrated her leadership by being the first real estate agency in the Clarence Valley to implement an online holiday booking service in 2006, for the benefit of property owners, holiday makers and the efficiency of the business. In her role as principal of Yamba Iluka Real Estate, Denise is a qualified real estate agent, stock and station agent, and business agent. Her hands on approach and work ethic, in conjunction with in depth industry knowledge and experience produces results for her clients. Denise’s focus has always been on growing with the Clarence Valley and the needs of her clients, encouraging sustainable development, supporting community activities and locals. Proud to be “Local and Independent” Denise Gillies would describe her lengthy career in the Real Estate Industry as “challenging but rewarding”, and still enjoys working with property owners, property developers, purchasers, and investors in achieving their goals. Denise’s clients and customers are fortunate to be able to tap into her 25 years of industry wisdom and knowledge about the local market. Quality, personalised service is provided. Results are achieved, honesty, ethical behaviour and privacy are assured. Contact Denise Gillies direct if you are thinking of buying or selling your home, or if you are establishing or expanding your investment portfolio.